When you’ve been injured in a car accident, your main focus should be on healing and getting your life back to the way it was before the accident. Your financial recovery and your health should always be covered by either your insurance, or the responsible parties insurance that caused the car accident. When you’re hurt, you care and recovery should be taken care of, but the greed of the insurance company will often stand in the way. If your insurance company won’t help, and the person who caused the accident refuses to cooperate, you need experienced and aggressive help. 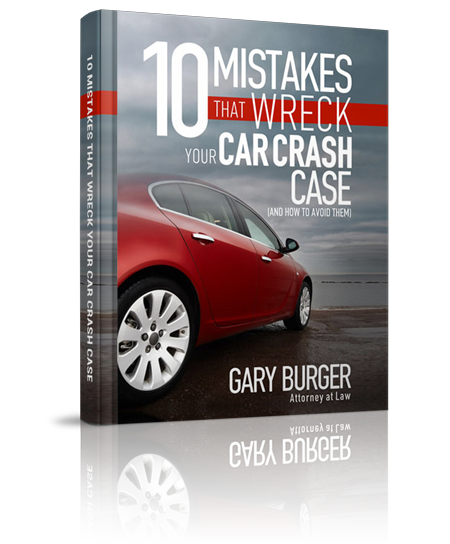 Gary Burger and the St. Louis Car Accident Lawyers of Burger Law have a proven track record of holding insurance companies accountable and can guide you through your claim every step of the way. You shouldn’t have to focus on the legalities of your case. Your health and your recovery should be the only thing on your mind. Our Car Accident Lawyers in St. Louis are aggressive and dedicated to fighting for your rights and holding the responsible parties accountable for their actions. When you’ve decided to seek our qualified and experienced car accident lawyers in St. Louis to pursue your claim, you are trusting in a proven and dedicated team of accident lawyers who aggressively fight for 100% of your owed recovery. If your case needs the dedication and knowledge of an experienced accident attorney, call or contact our Car Accident Attorneys in St. Louis. With our Car Accident Law Firm, you aren’t charged any fees unless we successfully win your claim, and we always fight to ensure our clients get 100% of the recovery they need. Don’t settle for less than you deserve!